Digitized project-based learning transforms the traditional group project into a deeply collaborative, creative experience for students. I know how challenging it can be to take a step back from your back-to-school preparation to learn a new tool—especially when what you currently use isn’t broken. But then I read yet another article on the popular Lean methodology, and I can’t help but seek tools that will help teachers and students use time more effectively. Most teachers have group projects listed in the itinerary for the semester. By the time each student has a handle on a topic, their research, and materials, getting students prepared takes the same amount of time as completing the project. I discovered a company that has brought a project management tool, a resource that is popular in the corporate world, into the classroom. I met the team behind Project Pals, a dynamic, all-in-one platform that digitizes project-based-learning (PBL). Project Pals is perfect for teachers who are both brand new and experienced in online PBL. Coordinating collaborative work is just the beginning of what Project Pals can do for students. Students and teachers can create project assets, import media, and visualize relationships within an interactive and collaborative workspace that is updated in real time. 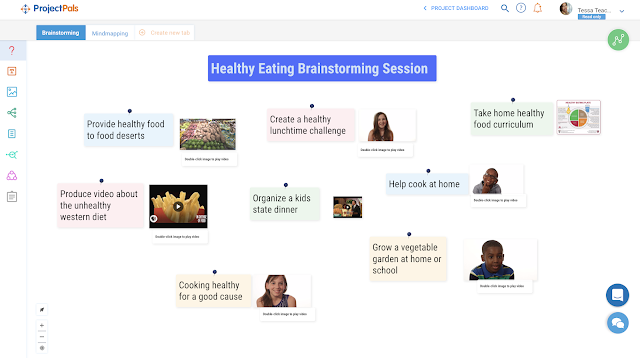 Project Pals integrates with Google Classroom, making creation and collaboration easy for everyone. At the end of a project, students have more than a shareable presentation; they have a gallery of information they can reference for future assignments and exams. 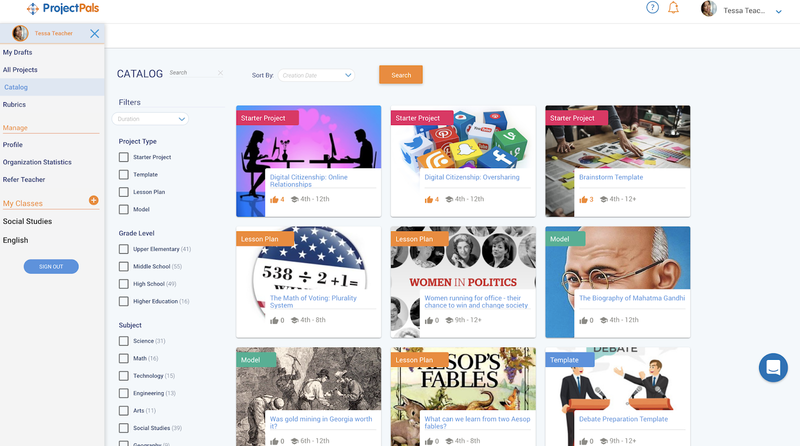 If you’re just getting started with PBL, you’ll definitely want to check out Project Pals’ catalog of pre-made content, as well as the option to create your own project. The catalog houses dozens of projects covering a wide-range of topics—everything from George Washington and the Issue of Slavery to Photosynthesis. Project Pals’ analytics and real-time whiteboard functionality make it a cross-curricular powerhouse. Project Pals allows educators to upload and link all the resources students need at one time and in one place. Getting students on board with the right resources for traditional projects helps them spend less time searching and more time learning. Another game-changer the company brings to PBL is the ability to assess each student’s contribution. 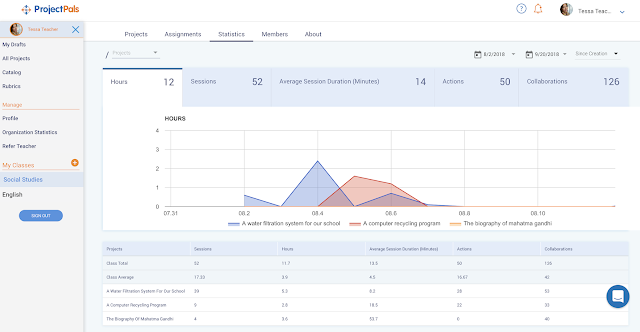 Project Pals’ analytics dashboard provides easy-to-read data on which students are playing large and small roles in each project. 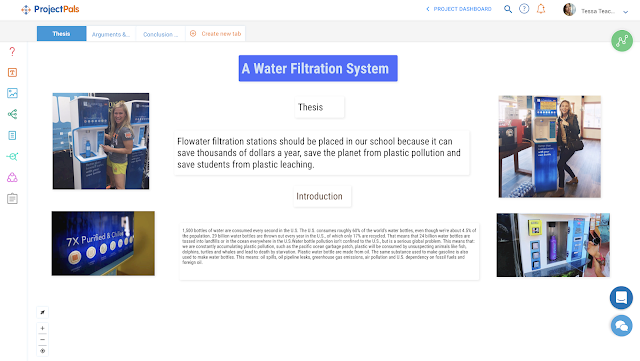 Finished work can be shared with parents and added to a digital portfolio that serves as proof of knowledge throughout a student’s academic career. When preparation time isn’t clouding the experience, students have more autonomy over the level of learning they want to achieve. Educators can create project templates and let students run with whatever topic they are passionate about. Students can store resources in one spot, and showcase their findings using a wide-variety of components available in the platform. In the YouTube video embedded below, you’ll see how Project Pals guides students to researching and writing a biography about anyone they choose. The template guides students to create an introductory story about the person’s life, timeline, and map out the key events of the person’s life. Digitizing PBL provides an outlet for students to dig deep into their interests. Group projects have been a staple of the classroom experience for decades. Luckily, the Project Pals team understands that going from poster board and cutouts to an online platform can seem like an upheaval. A friendly member of the staff is happy to give interested teachers a free demo to see if the program is a good fit. Project Pals also offers free lesson plans that revolve around topics including digital citizenship and the disappearance of honeybees. For those who want to dive deeper into PBL, you can download The Educator’s Ultimate Guide to Project Based Learning eBook. Head over to the Project Pals website to sign up for a free account for up to 20 projects and 50 students! While this is a sponsored post, that doesn't make this any less awesome. 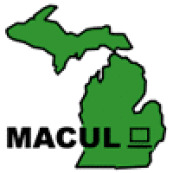 Check out Project Pals to get a start on Project Based Learning. The other day, I was doing a webinar for littleBits and I was asked a question I often receive when talking about Makerspaces. 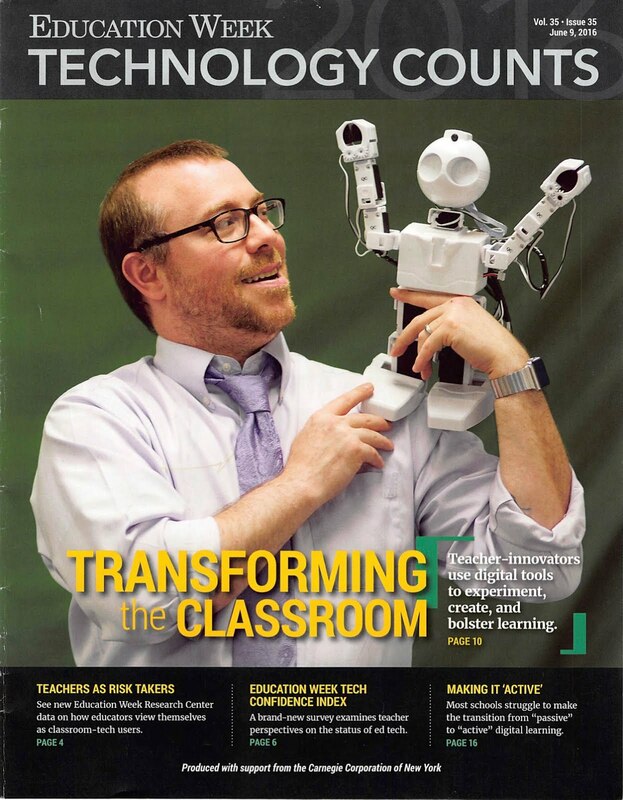 "How do you assess the making that happens in a Makerspace?" This question and slight variations often come up because we are a system that can only understand something if it is assessed. For somethings, I understand the need to assess skills to see improvement. Assessing writing skills and reading skills can help a teacher better support a student in their class. 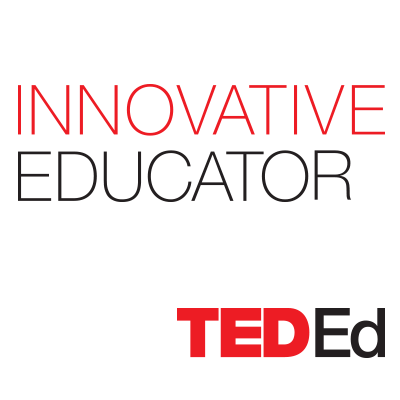 If someone wanted, they could create assessments for soldering, wiring, coding, etc. Every aspect of a Makerspaace could be dissected and assessments can be created. However, that is the antithesis of making. A Makerspace is another tool that students and teachers can use to accomplish different tasks. Project Based Learning and Makerspaces go so well together because the assessment in PBL is whether or not students demonstrated understanding of the topics assigned. They can do that through so many different parts of a Makerspace. 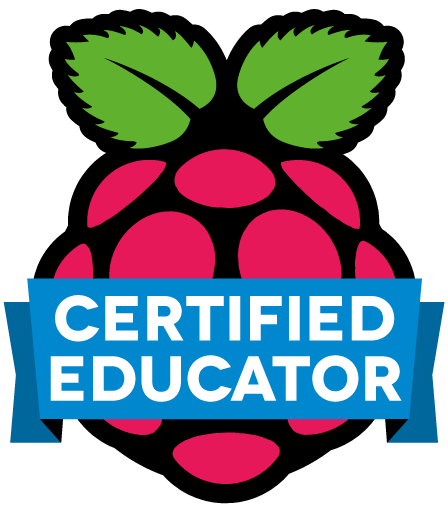 The assessment given by teachers should not be about how well they used an LED or Raspberry Pi, it should focus on how well the students were able to demonstrate understanding. Badging systems are in place in many spaces and we are looking to expand our badging system this year, but badges are in recognition of student skills, not an assessment. I know this might be semantics, but it is about the mentality of the makers that makes the semantics work. The benchmarks to earn a badge are there for students as they learn different skills. It is not something imposed on them with strict timelines. 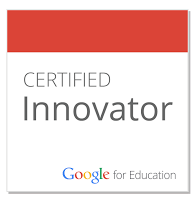 Students demonstrate their skills when they feel they have mastered them and they receive a badge to recognize that learned skill. No fear of failure or lowering of the GPA. They are learning because they want to learn. If your focus is on how to assess making in a makerspace, you have lost what it is that makes a makerspace so special. It is supposed to be a place where anyone can come and explore design and creation without the fear of judgement. The minute you start putting assessment around making, you strip it of the purity of learning for learning's sake. With so many things assessed and measured, let's keep the makerspace free of archaic measurements and let people make in peace. If you want to learn more about creating a specific culture around your makerspace, consider picking up The Maker Mentality to help make that transition happen. If you need to focus on building the space, then Your Starter Guide to Makerspaces is what you need. One of the things that I love about Making is taking something older and doing something different with it or altering it in some way. I've done this in many different ways over the past few years. One that stands out is turning this old rotary phone into an Airplay device with a Raspberry Pi. The conversion of the rotary phone to a music player is coming along. I'll be using a @raspberrypifoundation 3 and code to turn allow the Pi to be an AirPlay device. Push button will still work. I think I'll add an LED at the top for on/off notification. The Pi Logo is not permanent. Keep it? The green LED works great and stays dim when it's in sleep mode and is bright when running. Pushing the phone plunger button turns the Pi on/off. It runs on a micro USB plugged into the wall. The sound is not great because I used those old school headphone speakers. I've ordered some other speakers and might strip some mini speakers to get better sound. It was a fun projects that really tested my design skills and my soldering skills as well. It was one of my first big projects using Raspberry Pi that was not just recreating something someone else had designed and made. I was thinking about doing something kind of fun and retro with an old Nintendo cartridge and came up with something pretty fun. I was able to take apart The Adventures of Zelda and place a Raspberry Pi Zero W inside of it. For those interested, here are the steps. 1. Unscrew the back of the cartridge. 2. Remove the hardware on the inside of the cartridge. 3. On the piece that is the back, there is a little plastic lip near the bottom of the cartridge. You need to clip this away so the ports of the Raspberry Pi Zero W will fit. 4. Secure the Raspberry Pi Zero W in place. I used hot glue in the corners. It needs to be secure so it does not shift when you plug into the device. 5. Attach the HDMI mini adapter, a micro USB dongle, and the micro USB power cord. Make sure the cords you are using fit nicely when the lid is placed on. You can easily check this without screwing the cartridge together. 6. Place your micro SD card in the Pi with the image you would like. 7. Screw it all together and you are ready to go. It was fun taking something from an idea and getting to work on it in my makerspace at home. I encountered some problems and was worried it would not come together, but it all worked out in the end. These are one of the types of projects I will be encouraging students to explore in the school makerspace. Hacking something to change it in a way that allows it to be used differently is part of the Maker Mentality and it is a wonderful exercise in creative problem solving and design thinking. How have you hacked different projects in your home/school? I'd love to see them and share them around. Tweet me (@TheNerdyTeacher) and use the hashtag #MakerMentality and we can all share in the hacking fun.